Even if you aren't ready to join at this time, check out the website. The is so much information there for people who are interested in orchids! We support each other in the love of orchids. We participate in each other's shows when possible, and pass on information about their events. Many of the societies also have Facebook pages. A full-service orchid retail store and greenhouse complex located in Lancaster, Pennsylvania. We carry a large variety of orchid species and orchid hybrids, as well as supplies for orchid lovers of every level of interest and expertise. Our friendly and knowledgeable staff is available to answer your orchid related questions. Plant boarding services are also available for individuals and businesses that need a good environment for their plants while on vacation or during the winter. Like most internet businesses, OEI started as a hobby gone wild. It all started about 20 years ago with a seedling Cattleya orchid from a local nursery. Placed on a windowsill in a townhouse in Northern Virginia, the Cattleya put on a new growth and that was all it took. Ken was hooked. The quest for knowledge had begun and Ken learned of KensingtonOrchids, just a short, 30 minute drive around Washington DC. MerrittHuntington, owner of Kensington Orchids, became Ken's mentor and was always giving of his vast knowledge of orchids and the orchid world. Through NCOS, Ken met Arthor Holst - author of "The World of Catasetums". Art traveled throughout Brazil studying the native habitats of the genus Catasetenae for his yet-to-be-published book. Art invited Ken to join him on one of his trips to Brazil and they soon became friends and journeyed together on many future trips. Ken has a Bachelor of Science degree in Protozoology and was formally trained in microbiology while working on his Masters Degree, studying sulfur oxidizing bacteria along the volcanic rifts in the Pacific Ocean. Ken's training has given him the knowledge necessary to establish a laboratory where OEI germinates and grows orchid seed under controlled sterileconditions. Ken has been germinating and growing orchids from seed almost as long as he has been growing orchids. OEI was originally established to help reduce the number of orchids in Ken's collection, but somehow this has backfired and Ken's collection just seems to grow. Ken now manages a 33'X20'X13' greenhouse, a laboratory, and a grow-room with four 1000W HID lights that run on moving tracks over benches of seedling and various Catasetenae. Wade Hollenbach has been growing orchids since 1978. Wade says, "I've been growing orchids since 1978. I am a member of the Central Pennsylvania Orchid Society, Orchid Society of Western Pennsylvania, and the American Orchid Society. I am growing in a 21' X 24' greenhouse. I sell orchids to help pay the fuel bills for the greenhouse. I also sell orchids because I enjoy purchasing flasks and community pots that I feel have very good potential in some way. I am beginning a breeding program with Encyclias and the Cattleya alliance. I also have a goal of providing healthy plants to others at reasonable prices. I have fond memories of days long gone where it was inexpensive to invest in new directions in breeding and growing the seedlings on anticipating becoming the first person to see the flower of this unique orchid. I hope to bring that format back to you, the orchid grower." You can also view Wade's helpful videos on YouTube. Waldor Orchids’ founder George Allen Off entered the flower business when he established Brighton Florist in 1925. His love of flowers and his desire to grow them would lead him out of his father’s hotel business and into the fascinating world of growing plants. 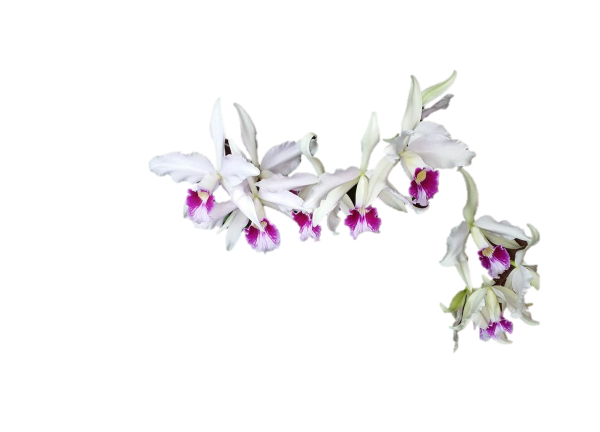 Waldor Orchids continues to be a family operated business. Their mission is to continue George Off’s legacy by preserving his old-time collection and selecting the very best of anything new. Waldor Orchids always has a full selection of many varieties of orchids to ensure that they will have something for everyone. They look forward to where God will lead them in their future business endeavors. They also offer online sales.